Over the last little while I've been putting together a playlist that is purely for summer times. Loungin around the pool, having a couple of drinks in the summer sun and enjoying the weather is exactly what this 20 song mix was built for. So go grab a blank CD, click the divshare button on the playlist below to download the tracks, and go ahead and burn yourself something to listen to for the next couple of months. None of these songs have been posted on Straight Goods before, so get it while it's still hot... outside. 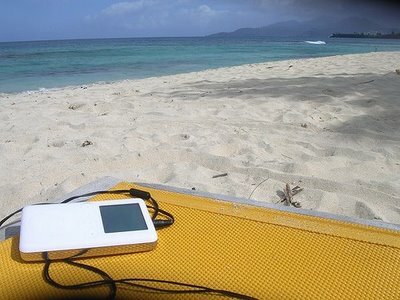 Summer Relaxation from Surebuds on 8tracks Radio. friend of dan b's in ottawa - Dr. Dog is the best. yeah's, gorillaz, and wale are sweet too. Surebuds dan listens to viking metal. teach him how to listen to good music.